Small town in Uttranchal near Haridwar. 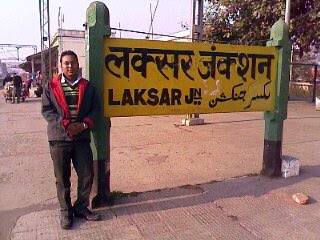 Laksar (लक्सर) is a town and a panchayat in Hardwar district in the Indian state of Uttarakhand. It is an important sugar manufacturing destination in the state and also known for the Laksar Junction Railway station (LSJ), which the largest Railway Junction in the state, built in 1866.